You are at:Home»Liner Stories»Ocean Liners»Vistafjord: Welcome Aboard! 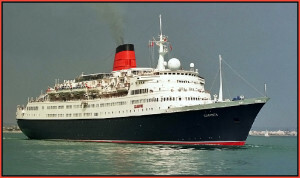 In 2004, with Cunard transitioning to newer and much larger vessels, Caronia was sold to Saga Cruises. Renamed Saga Ruby, she sailed for Saga until 2014. Shortly thereafter, Saga Ruby was transferred to new owners who planned to convert the vessel into floating hotel in Myanmar (Burma). That never happened, however, and Saga Ruby sailed to India in early 2017 to be broken up. Most current cruise customers don’t much like ships like Saga Ruby. 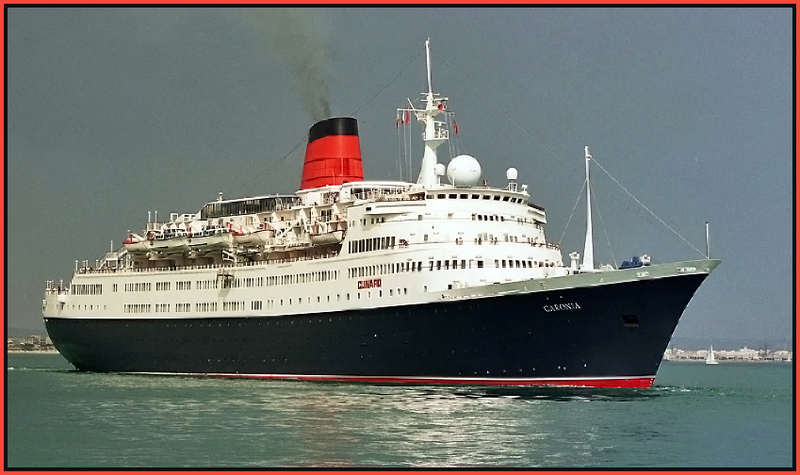 She had far fewer verandah staterooms than contemporary cruise ships. She also lacked the climbing walls, ice skating rinks, water slides, massive showrooms and various other amenities 21st century mass-market cruise customers seem to crave. All she could offer was class and style and, in the end, that simply wasn’t enough.